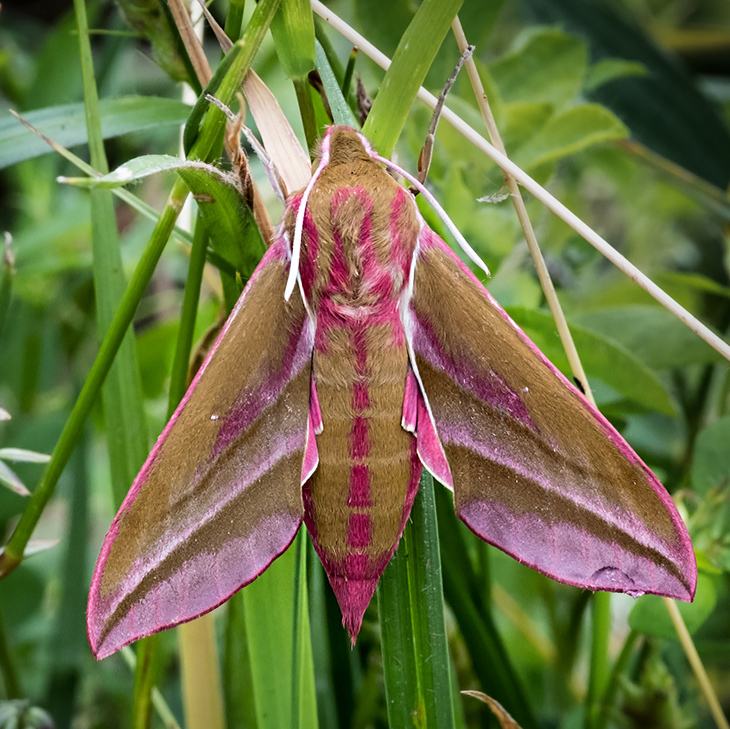 Great shot Dave,never seen the moth of the species ,seen the caterpillar in the garden over the years a few times.thank you for your contribution . Once again Dave, you amaze me! This was totally new to me, I can't remember ever having heard of this species.....But I must admit that I mis-remember a lot of things in my seniority!! Dave are you sure it isn't a Vulcan bomber painted pink? You can certainly tell who is behind this camera..what a superb photo..but wouldn't like it to land on me..still a brilliant shot..thank you Dave. Thats a beautiful moth! Although I'm not a fan of the household moth as they love to eat cashmere! So there's moth repellent in my wardrobes! Why do moths fly with there legs open ? ?,,,answer have you ever seen the size of moth balls ha ha.